Have you ever seen a virus? 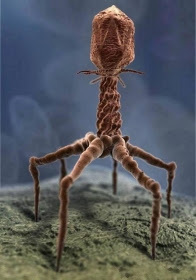 The picture to the right was taken by a Scanning Electron Microscope (SEM) of a bacteriophage preparing to inject its DNA into a bacteria. Viruses are not quite alive or dead, but these infectious agents prey on the living. 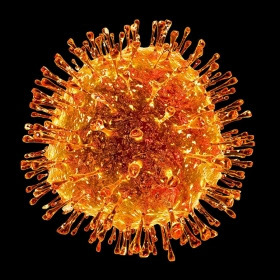 We’ve assembled a rogue’s gallery of virus images from polio to SARS to rabies to the common cold. Why? We’re all worried about viruses this time of year. Might as well see what they look like!